Were you injured in a truck wreck? Contact a truck accident lawyer at Munley Law now for a free consultation. Munley Law recently obtained a record $26 million truck accident settlement, the largest settlement for a single plaintiff in our area. The truck accident lawyers at Munley Law represent drivers, passengers, cyclists, bikers, pedestrians, and truckers who have been hurt in an accident with a large truck or tractor trailer. When you’ve been hit by a large truck, you need to know your case is in the best possible hands. 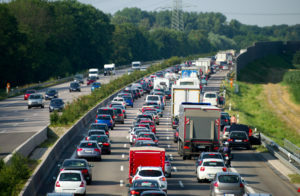 Commercial truck and tractor trailer accidents can be far more devastating and complicated than a regular car accident. That’s why they should only be handled by a law firm with years of experience and a record of success handling this specific case type. Munley Law is unique in that our firm has developed a special focus on these complex, heavily-defended cases. For more than 55 years, the truck accident lawyers at Munley Law have represented truck crash victims throughout the United States. Our nationwide truck accident attorneys are dedicated experts in aggressively pursuing the justice and compensation that our clients deserve. Each member of our firm has extensive experience in these heavily defended truck injury cases. Our truck accident lawyers are recognized nationwide as industry experts. Our own Marion Munley is the Chair of the American Association for Justice Trucking Litigation Group, and Daniel Munley served as chair from 2011-2012. Daniel Munley has also been recognized as one of the Top 10 Trucking Trial Lawyers by the National Trial Lawyers Association. Munley Law is the only firm in the country to have two of our lawyers lead the AAJ Trucking Litigation group. The truck wreck attorneys at Munley Law have consistently been named Best Lawyers in America (via the legal guide Best Lawyers), Pennsylvania Super Lawyers (Pennsylvania Magazine), Best Law Firms (U.S. News and World Report), and are proud members of the Million-Dollar and Multi-Million Dollar Advocates Forums. Our truck accident lawyers are regarded as experts in the industry, and we are regularly asked to speak about trucking laws at events all over the country. Let us put our expertise to work for you. If you are injured and can’t come to us, we can travel to meet with you wherever you are located. Contact Munley Law for a free consultation by calling toll-free at (855) 866-5529 or email us today. *This represents only a partial list of the settlements we’ve achieved for our clients. After a truck crash, seek any necessary medical treatment first and foremost. Then, it is important that you contact a truck accident lawyer as soon as possible. Once hired, our experienced truck crash attorneys at Munley Law will preserve vital pieces of evidence, secure the scene of a tractor trailer crash, and take necessary photographs and witness statements. This is critical because evidence can be lost, misplaced or purposely destroyed by the trucking companies. The preservation of that evidence is crucial to proving liability in the collision. Check out our list of frequently asked questions, and see testimonials from some of our past truck wreck clients. Tractor trailer accident litigation requires thorough investigation, the opinions of expert witnesses, and the creative use of discovery procedures after the suit is filed. Prompt investigation of the accident scene is crucial. The trucking company will quickly dispatch its own investigators; you need someone on your side who will do the same. Munley Law’s on-staff team of investigators routinely visit accident scenes and take photographs of physical evidence. They will document eyewitness accounts, skid marks, accident debris, as well as oil, gas, and radiator fluid stains at the wreck scene. We will also obtain police reports, motor carrier records, witness statements, photographs, and safety logs. The sooner you engage us to represent you, the sooner we can get to work. Munley Law’s tractor trailer accident attorneys have long-established relationships with trucking industry experts and investigators. These expert witnesses can review the facts of your case and help us plan a winning trial strategy. Other experts including engineers, medical professionals, economists, caregivers, and accident reconstructionists will work alongside us to put your strongest case forward. Truck crash cases differ greatly from car crashes and other types of cases. Experience counts when an attorney is handling a personal injury case involving a tractor trailer or 18-wheeler. Truckers and transportation companies must comply with a complex set of federal and state laws and regulations governing hours of service, maintenance and inspection requirements, and other safety protocol. The tractor-trailer accident attorneys at Munley Law have in-depth knowledge of these (frequently changing) laws and regulations. We will determine whether a violation of this kind contributed to your crash, and hold the offending driver and/or company responsible. Munley Law charges truck accident clients on a contingency basis. That means that the attorney is only paid if he or she wins money damages for you. This makes it possible for anyone to hire the best possible legal representation. It gives everyone equal access to the justice system and to representation of the same caliber that insurance companies, transportation companies, and other defendants can hire. Nothing is more devastating than getting into an wreck with a tractor trailer. Your injuries may be life-threatening, and medical costs can amount to tens of thousands of dollars. Your insurance may not cover all of your expenses, and you may have difficulties just trying to get back to your life. We are here to help. If you’ve been injured in a truck accident, then don’t wait much longer. We will have a team of the country’s top lawyers review your case entirely for free, and you will never have to pay anything up front or out of pocket. Q: What can I do to protect my rights after a truck accident? A: As the victim of a truck wreck, you have legal rights to compensation for your injuries. However, because trucking accidents often involve multiple responsible parties and insurance companies, obtaining that compensation can be a nightmare. Without legal representation, you’re likely to be bullied out of a fair settlement. Trucking companies will typically have unlimited resources, including teams of lawyers to fight against any lawsuit you may file as a result of an accident—regardless of how injured you are. If you have been hit by a tractor trailer or large commercial vehicle, the best way to protect yourself is to contact an experienced truck crash attorney who will defend your rights and ensure that you are fairly compensated. Q: What should I do at the scene of a truck accident? Do not discuss the wreck with anyone except the police or your own insurance agent; you are not required to give a statement to the other driver’s insurance company. Q: What should I do if someone from the trucking company calls me before I’ve picked a truck accident lawyer? A: Do not agree to make a recorded statement to the trucking company or their insurance carrier. Do not sign any forms sent to you by the trucking company and their insurance carrier. Call Munley Law for a free consultation, and we will look at any paperwork they send to you. Q: What should I do in the days following a truck accident? Q: Who can be sued in a truck accident case? A: In a truck accident case, the truck driver, transportation company, or owner of the truck may be liable. In other cases, the facility responsible for loading the truck, or even the entity responsible for the contents of the trailer can be held responsible as well. Each case is unique, so the best way to determine who is at fault is by speaking with a lawyer. That is why we offer free consultations to our potential clients. Q: How long do I have to file a lawsuit after a truck wreck? A: In most cases in Pennsylvania and most other states, the statute of limitations is two years from the date of the accident. But, it is best to contact an attorney as soon as possible following an accident. Important pieces of evidence regarding vehicle safety standards and driver logs can quickly be lost or destroyed. It is best if we can get to work as soon as possible. Q: How much will it cost to hire a truck crash lawyer? A: At Munley Law, we do not collect a fee (a portion of the settlement or verdict) unless we win your case. You will owe us nothing up-front or out of your own pocket. The causes of tractor trailer accidents vary. But when a large commercial truck collides with a car, truck, motorcycle, or pedestrian, it almost always results in serious injury or death. When it is out of control, the sheer size and weight of a large truck makes it a deadly weapon. 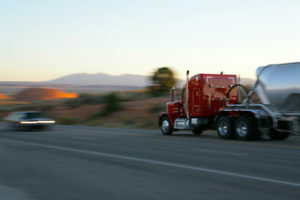 Unfortunately, large trucks are often involved in deadly accidents because of the driver’s negligence or recklessness. Special licenses are required to drive commercial motor vehicles. Federal and state laws regulate how commercial trucks are operated. But accident investigations show that training and regulations are too often ignored. If you or a loved one has been injured in an accident involving a tractor trailer, you may have a right to recover funds for your medical expenses and other losses. The team of lawyers at Munley Law have helped tractor trailer accident victims throughout the Northeast get the compensation they deserve. Contact us today for a free consultation. The Federal Motor Carrier Safety Administration defines a large truck as a truck with a gross vehicle weight rating of greater than 10,000 pounds. The most recent statistics show that 333,000 large truck wrecks occurred in the U.S. in a one-year span. These accidents killed 3,921 people and injured another 104,000. Insurance rarely covers all of the losses and expenses that result from a tractor-trailer wreck. Trucking, hauling, and leasing companies often seek to minimize payments by disputing victims’ insurance claims. Trucking firms and insurance companies often use tactics that can add to the trauma and expense of being in a commercial motor vehicle crash. When negotiations fail to achieve adequate funds for victims, the pursuit of a personal injury or wrongful death lawsuit is the proper course of action. Our truck accident attorneys have won millions of dollars in settlements and verdicts, including many multimillion-dollar awards. If you or a loved one has been injured in an accident involving a tractor trailer, you may have a right to recover money for your medical costs and other losses. The truck accident lawyers of Munley Law represent tractor trailer accident victims throughout the country. Contact us now, we’ll discuss your legal options for obtaining money for the losses you have suffered in a trucking accident.